Put mosquitoes in their place and take back your yard. Our Mosquito Control Program includes six to eight monthly treatments scheduled during peak season (April through November) based on weather, preference and need. Our first visit includes a thorough inspection of your property. Our technician will give you unique recommendations for prevention. Each treatment will include an application to kill mosquitoes from larvae through adult-stage on contact. Baits may also be used to help eliminate mosquitoes. Our products are rain resistant and safe for humans and pets. Products are applied outside only. For a typical quarter-acre lot the price is $60 per visit. We charge less than our competitors because we know the danger that mosquitoes pose, and we feel obligated to help reduce the threat. Call for pricing if your property is smaller or larger than a quarter acre. Yes… you can count on our technicians to be thorough and generous with each treatment. We’ll cover entryway points, walls, windows, plants, trees etc. 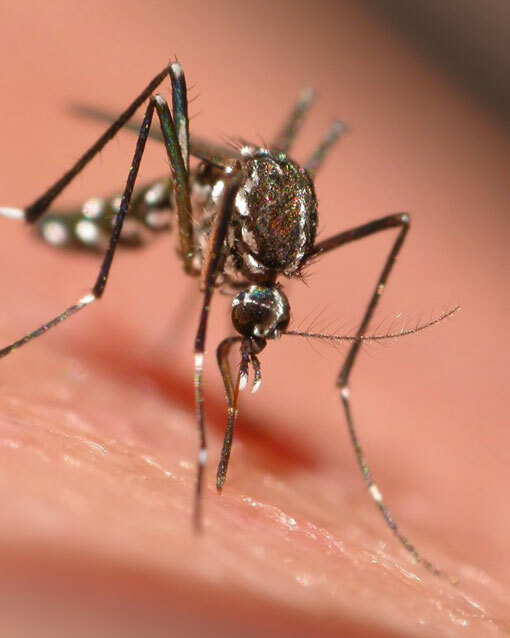 Expect between 72-87% reduction in the mosquito population after just one treatment. All shrubs should be pruned away from house and ground if possible. Please remove and/or empty all containers with standing water such as wheelbarrows, bird baths, buckets, children’s pools etc.